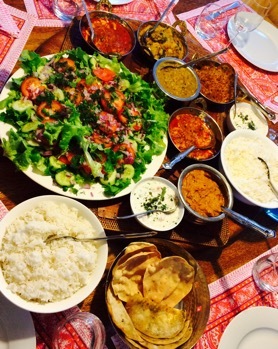 Vinnys’ Aroma and Spice cooking lessons are meant to inspire but also to be easy. 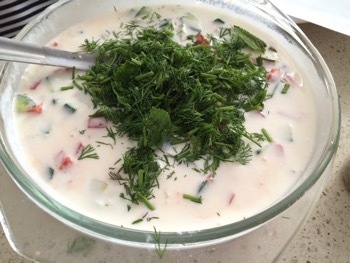 And Vinnys’ raita really is easy. 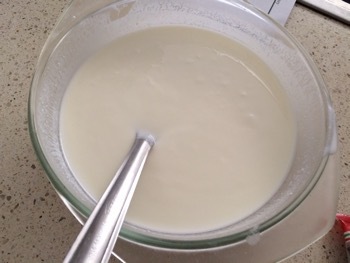 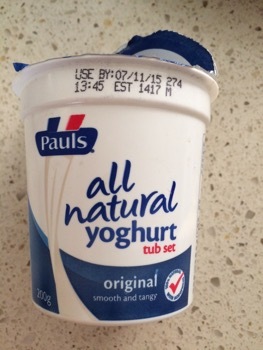 She uses a low fat natural yogurt…(but thick Greek natural yogurt is also great)…. 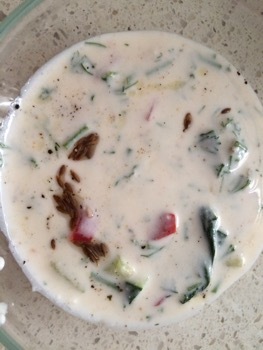 Temper the raita with some cooked whole spices (optional). 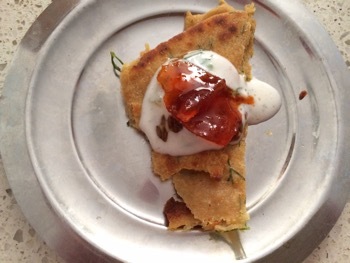 Raita paired with a dal paratha is an easy entree or a complete light meal. 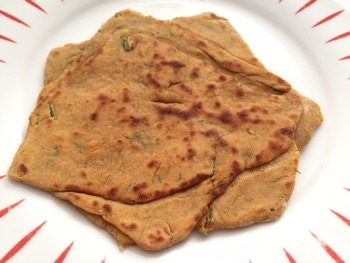 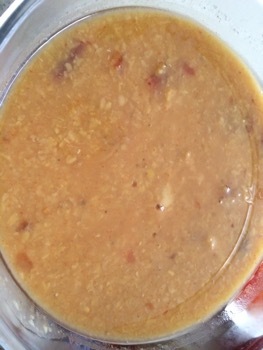 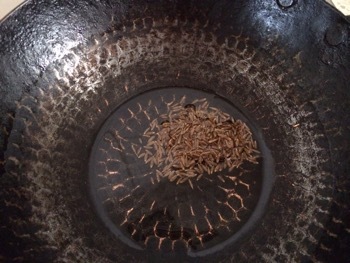 Leftover dal is used to add moisture to the wheat flour (and a little besan flour). 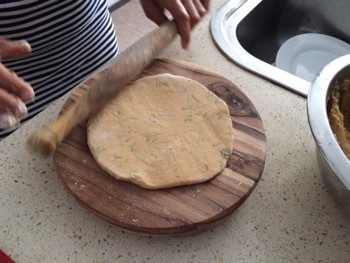 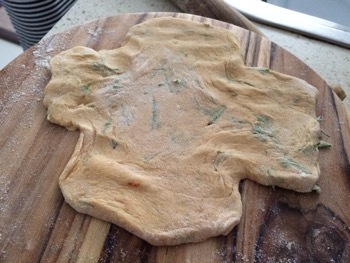 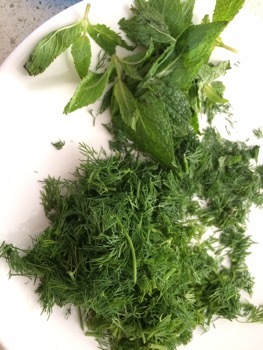 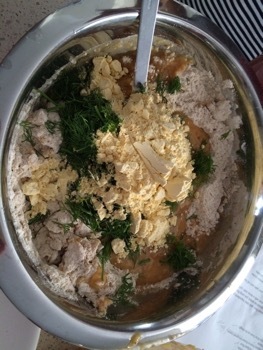 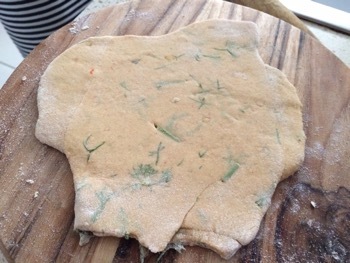 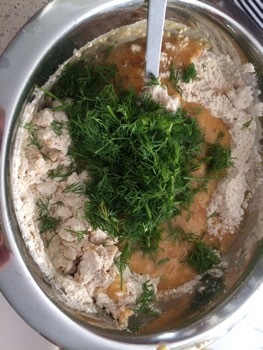 Some extra dried spices are added to the dal before mixing and fresh herbs are added to the dough. 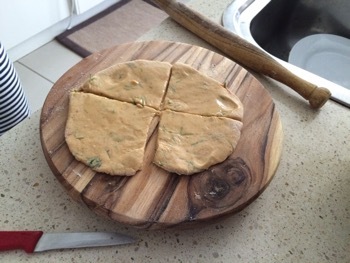 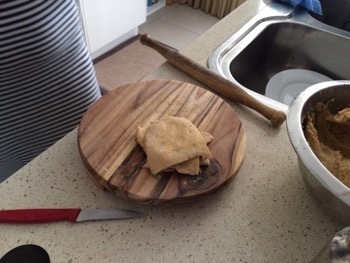 Vinnys explains that this paratha traditionally has an eclectic shape so that can make even beginners’ efforts look good. 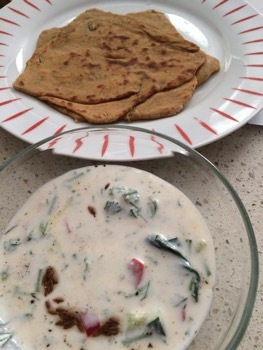 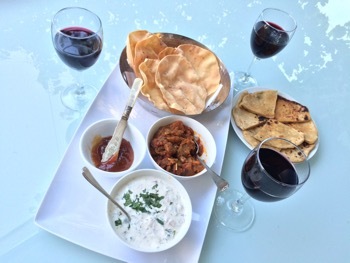 A raita and parathas makes a great start to a meal…. 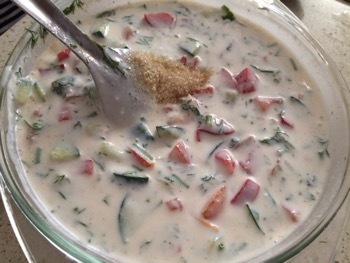 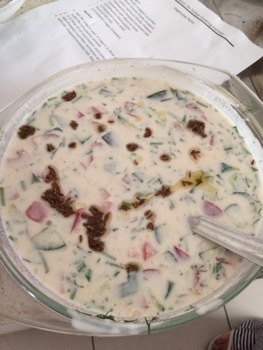 ….a raita is the perfect accompaniment to main dishes…. 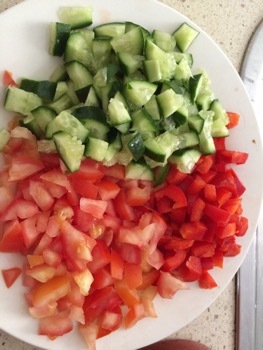 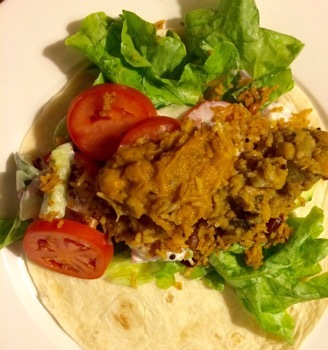 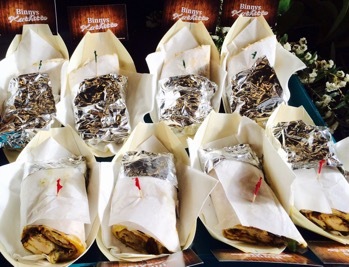 …and raita with leftover curries, rice and salad in a wrap makes a great Kathi roll…. 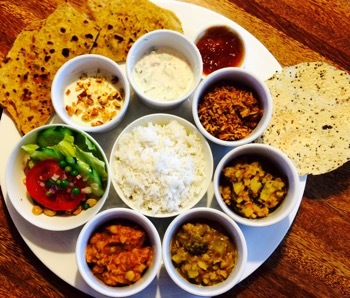 ….or use raita with leftovers to make a great Thali!